Is blocking of websites by school fair? This is a scorching debate topic that has been going on for several years. According to the 2000 Children’s Internet Protection Act which is determined by the Federal law, all schools and public libraries must prevent minors from viewing obscene and harmful images while using internet. This is the reason why schools are blocking websites so school children can concentrate on their studies rather than surfing on non-educational websites on internet. But after that many students complained about the fact that by blocking “non-educational sites” many educational sites have also been blocked. Schools block websites for several reasons such as to protect children from the exposure to illegal and harmful sites. The blocked sites mainly contain adult content which are completely non-educational may create negative influence on children. With growing technology and high internet exposure, every school going children owns a phone or PC. The addictive exposure is one of the major reasons why children are not concentrating on their studies. To put certain limitations on the use of internet schools are taking strict actions by blocking harmful websites. A large section of people claim that because of recent social networking websites children’s development has become a cause of concern, as most of them are glued to these sites. These social networking sites, chat room are very dangerous and are filled with child predators. Children are innocent and naive which make them an easy target while being exposed to many online communities. 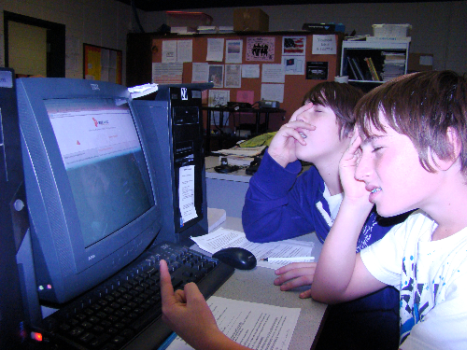 Schools must use internet filters for such websites and protect children from bad influence. One other reason why school blocks website is that by blocking websites students can focus on their studies and not get distracted by online games. So, to protect the young generation from getting hurt or getting indulge in bad influence school block websites. With strong writing and copy editing skills, Desh Raj Sharma has shown expertise in almost every field of online content generation for years. Highly committed to his work, Desh is a person with clear heart, with no enmity with anything known.